This is real. A real pug wedding. Really. It's the society wedding of the year, and you're invited. 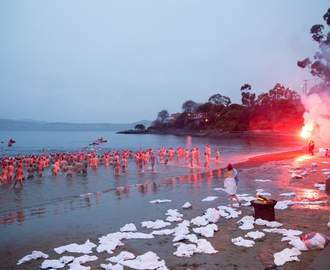 Melbourne socialites Jasper and Jasmine are going to tie the knot at St Kilda's West Beach Bathers Pavilion this May; trotting down the aisle, barking their vows and sniffing each other's butts. 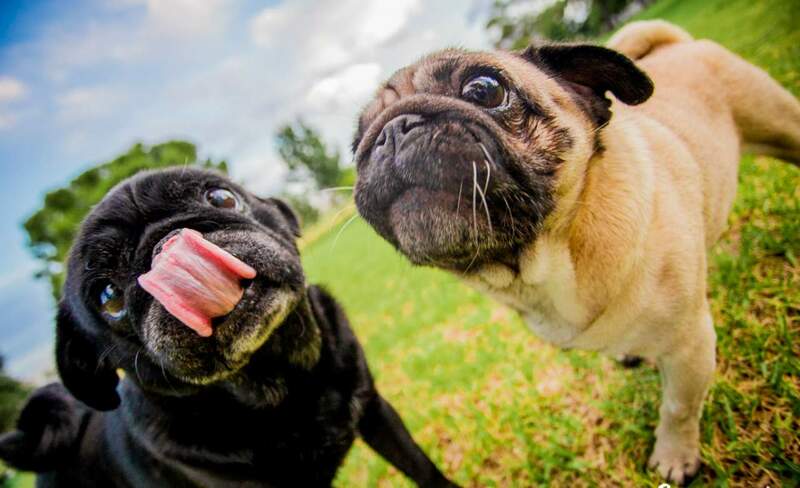 Yep, they're pugs. It's a pug wedding. A real life pug wedding. Seems there's a Leslie Knope living in Melbourne. Raising much-needed funds for Pug Rescue and Adoption Victoria Inc. (a volunteer-run, foster care-based animal welfare charity with a focus on pugs), this wedding doesn't have the happiest Disney backstory. Jasmine and Jasper came into the care of Pug Rescue in April 2013, after they were found to be so morbidly obese they could hardly breathe. They were taken from their former home by the rescue team and apparently were turning blue on the car ride, poor little things. 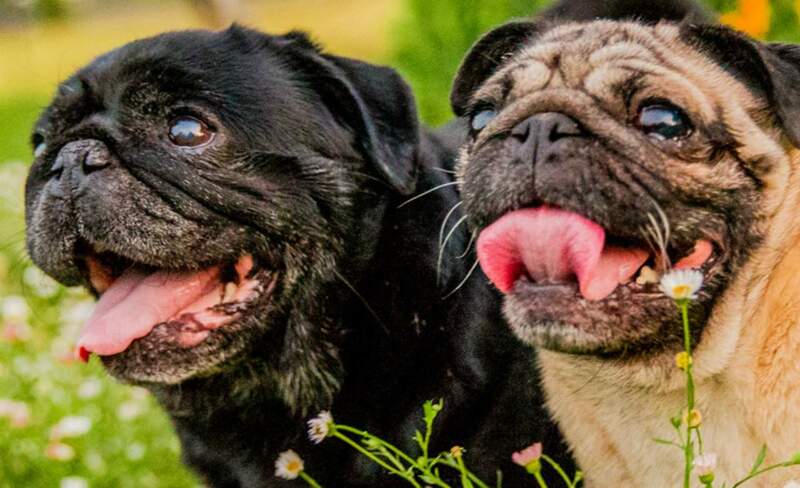 But just one year later, Pug Rescue have nursed the pair back to health so they can enjoy a newfound pug life with each other and their new family — together. Take a hike, The Notebook; this is a true love story for the ages. Now, let's get these pugs married already. On Sunday, May 17, Pug Rescue are putting on the works for these pups. Get ready for this; Jasmine will wear an exclusive couture bridal gown designed by renowned Australian designer and Project Runway runner-up Craig Braybrook. A pug in couture. As if you're not locking this in already. Jasper's outfit is yet to be confirmed, but we're predicting mini bowtie at the very least. The whole event will be styled by Christian Wagstaff of Melbourne’s famed Creative Production and the venue will be decked out with flowers by Virginia Chorley of The Bouquets of Ascha Jolie. Tickets to the Wedding of the Year are $60, which we reckon is a straight-up bargain considering all funds raised go to Pug Rescue; helping to fund future pug psychological and physical rehabilitation along with the vet care and specialty surgery. And apparently they're selling fast, so get on it. If you can't make it, make sure you raise a water bowl to Jasper and Jasmine next Sunday; overcoming terrible odds and living a brand new #puglyf together. Jasper and Jasmine's pug wedding ceremony is happening from 1pm on Sunday, May 17, West Beach Bathers Pavilion, 330A Beaconsville Parade, St Kilda. Tickets are $60 per person from jasperandjasmine.com, or 'virtual tickets' are $19.95 — an invitation-only live video stream of the wedding online. Video of the wedding will also be available online for two weeks post-event for virtual ticket holders.